NBA Hall-of-Famer Dennis Rodman has presented North Korea’s leader Kim Jong-un with a series of gifts – including Donald Trump’s negotiating bible ‘Art of the Deal’ – during his fifth visit to the isolated Asian nation. The retired basketball star, who arrived in Pyongyang on Tuesday, saying that he was “trying to open the door” between the US and North Korea, met for a formal gift-giving ceremony with Sports Minister Kim Il-guk. As well as Trump’s ghostwritten 1987 bestseller, gifts laid out for the North Korean leader included a copy of ‘Where’s Waldo?’, a mermaid puzzle – Kim’s daughter Ju-ae is thought to be about five years old – signed jerseys and several bundles of upmarket soap. “In the past, our respected supreme leader met you several times, and he used his precious time to watch the basketball match with the players you brought here. In the past he met you, so our people all know you well. And also we feel that you are an old friend,” Kim Il-guk said to Rodman during a photo call attended by international media. 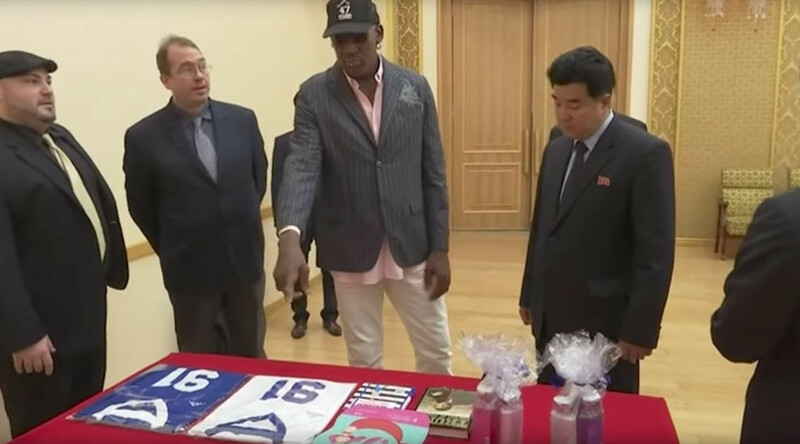 Instead, Rodman watched an exhibition basketball game, and met with North Korea’s Olympians, including An Kum-ae, who took gold in judo at Rio 2016. “For you guys to come back here in your country with a medal, that says a lot about North Korea, because people don't really take North Korea so seriously about sports or anything like that,” said Rodman. It is notable that during all of his previous visits, Rodman and Kim Jong-un met in person and spent time together, both in private and in front of the cameras. But the Worm’s standing with the North Korean regime took a hit during his last trip in 2014, when Rodman appeared inebriated for the majority of the trip, and checked into rehab straight after his return. 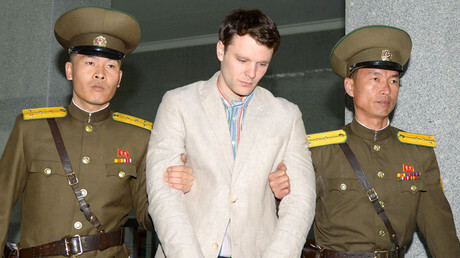 While both Washington and Pyongyang said that the 56-year-old basketball player had nothing to do with the release of Otto Warmbier, an imprisoned US student, thought to be in a coma, who was allowed to return home this week for “humanitarian reasons,” the timing of both gestures is notable. Prior to this week, North Korea repeatedly made headlines for a string of missile tests that provoked threats of a potential armed response and additional sanctions from the US and the country’s regional adversaries.